Avalon Gift Certificates are the perfect gift for any occasion, including birthdays, anniversaries, weddings, corporate incentives and rewards. Avalon Gift Certificates are an ideal gift for birthdays, Christmas, engagements or weddings, and also a great way to thank a business associate or employee. Gift Certificates are available for any given amount but as a guide $150 should allow two people to have a three course dinner including wine. Some of the most popular amounts are listed here for selection, but if you require a different value please send us an email at mail@avalonkatoomba.com.au or call 02 4782 5532. Please note the gift certificates that you are purchasing are only redeemable at Avalon Restaurant, Katoomba. 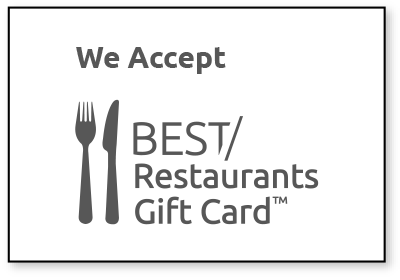 Gift certificates will be mailed to you or to the recipient, or you may pick up from the restaurant – please treat the gift certificate as cash as they cannot be replaced if lost or stolen. Gift Vouchers are valid for 1 year from the date of purchase and must be used within this time frame (voucher extensions not possible). Gift Vouchers can be handwritten or we can leave blank for the purchaser to complete with a personalised message. * If you want us to mail the gift certificate to the recipient for you, please make sure you enter 'Shipping Address' for the gift certificate recipient during the Checkout process. Please allow two weeks handling and delivery for regular post and a minimum of one week handling and delivery for express post.